Helsinki motorcycle exhibition 2017 was in Messukeskus Expo and Convention Centre. All the pictures I took are here! Actually it was already in june when I tested this. 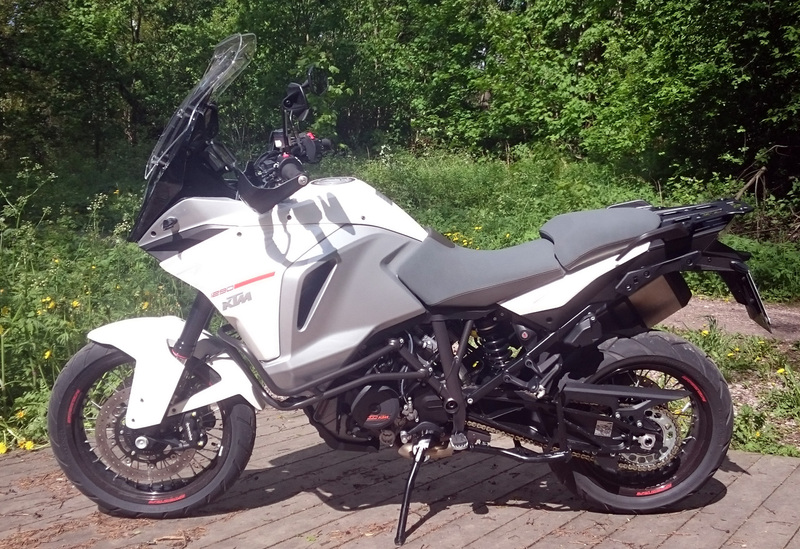 But I was so much waiting for my new bike (BMW S1000XR) to arrive that I just couldn’t make a review of this. Now I can. The size of this bike is HUGE! I mean it is really big, it’s wide and it’s tall but luckily it’s not too heavy! When you take the seat you’ll notice that it’s actually quite easy to handle and the sound from the engine is not loud.Riding the bike is also very easy! For the first time for me (in KTM) the throttle is actually very much possible to operate. It doesn’t give that On-Off feeling! But still if you just twist the throttle it gives you acceleration that makes your wrists stretch a lot! Off-Road riding is pretty much the same than in GS. The size of the bike is not a good thing in the middle of the forest. Because of the size it feels closer to GS than XR (My opinion). And it was the first KTM that I actually liked!